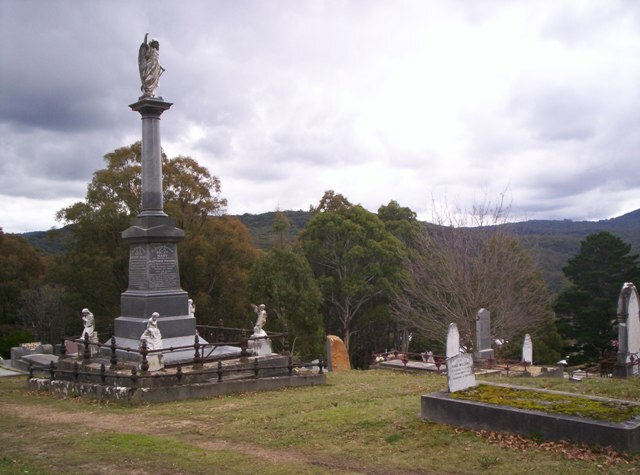 A grave worth mentioning in the Blackwood cemetery is a big vault which is the largest monument erected in the cemetery. The coffins inside are on shelves in lead lined coffins. The monument is said to be made from grey Scotch granite, and the angels carved from white Italian Carrarra marble, with the base made from polished Harcourt granite with an area of 30 square feet. 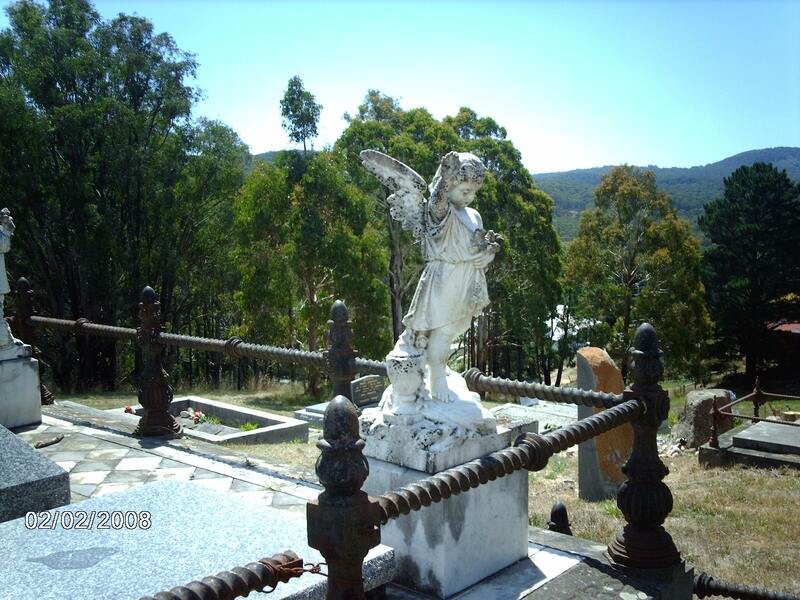 The angels on the four corners of the monument are beautifully carved and give back to Blackwood something to admire from the gold it gave to pay for it. 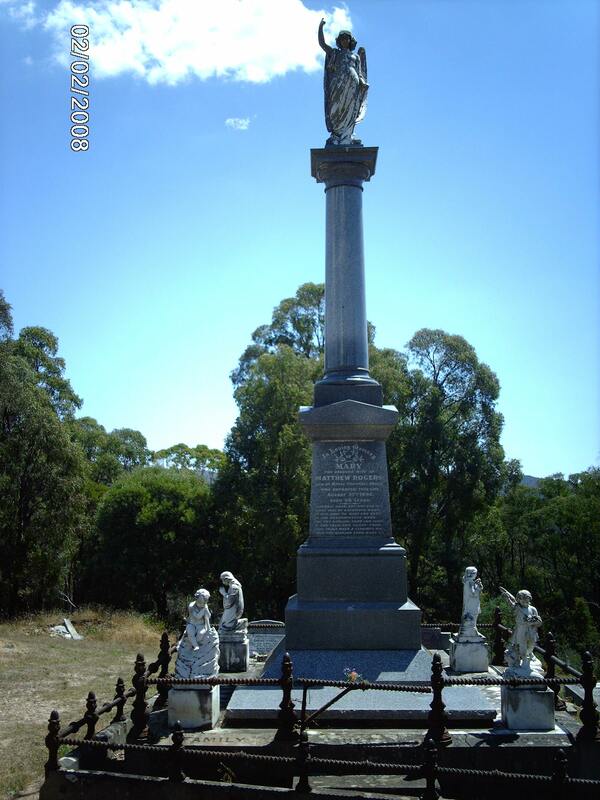 Matthew Rogers had the monument built before any of his family had died, at a reputed cost of £1,000 ($2,000 in 1896). The first interment in the vault was that of Mary Rogers, the wife of Matthew Rogers. George Trewhella remembered Mary Rogers, as a little bent woman, dressed in black, who died on the 27th of August 1896, aged 68 years shortly after the monument had just been completed. It was the first funeral that George Trewhella had attended and he remembered the black horses and waiving plumes of the hearse, as it was like nothing he had ever seen before. Matthew Rogers was born at St. Erth, Cornwall, on 11th June 1824, he came out to Victoria in 1854, and came to Blackwood about 1855.
see Henry Gribble for more info on family connection. Further Information gratefully acknowledged to Derek Duke.- A search of the Cornwall-opc-database shows the marriage of Matthew Rogers to Mary Rogers as date – 12 Feb 1852 in Parish District of Phillack, Mathew age 27 yrs, of Bodriggy, bachelor, Profession – Mason and signed his name. Father was James Rogers, Profession – Mason. Bride – Mary Ann ROGERS, age 23 yrs of Bodriggy, spinster, signed her name, Father – Abraham Rogers Profession – Mason. Abraham and James Rogers appear to have been brothers, making Matthew and Mary Rogers cousins. Matthew and his wife Mary Rogers were well known in Simmons Reef, Blackwood, as being one of the early pioneers. 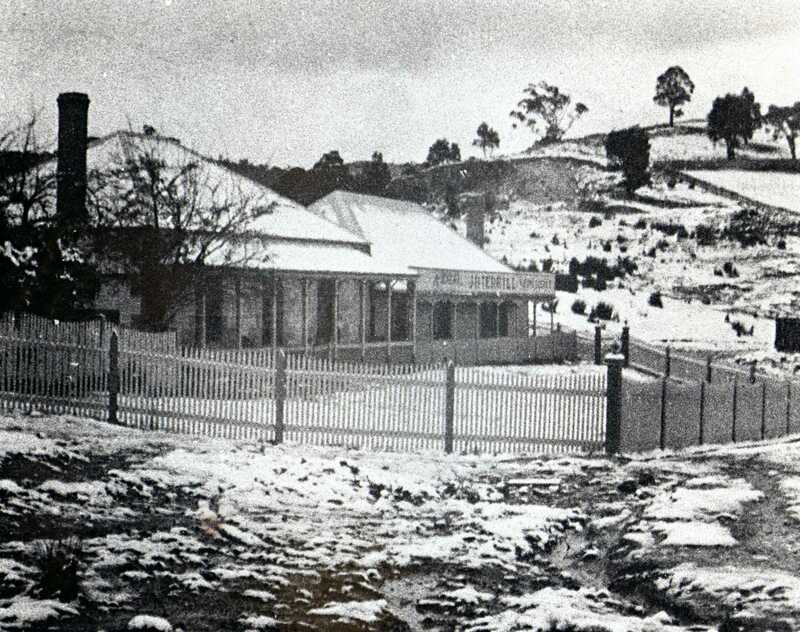 Matthew Rogers was a stone-mason by trade and built his house in Simmons Reef from stone quarried from around Bacchus Marsh. The house called ‘St. Erth’, is now the ‘Garden of St. Erth’, a popular garden open to the public with a big variety of plants on display and for sale. The original title was dated 1867, but it is believed the house was built before then. Matthew and Mary Rogers were the wealthiest people in Simmons Reef. Rogers did well in his mine called ‘Mount Rogers Big Hill Mine’. He is stated to have made a fortune out of ore that yielded one and a half pennyweights to the ton. In the 1906 Mines Department Bulletin, it said Rogers had got a record amount of 3,175 oz. of gold to a depth of 200 ft.
Mary Ann Rogers was born in Hayle in Cornwall 24th June 1828. She looked after the store and the Post Office attached to the house. The Rogers had no children, and adopted a girl born in 1872, called Elizabeth. 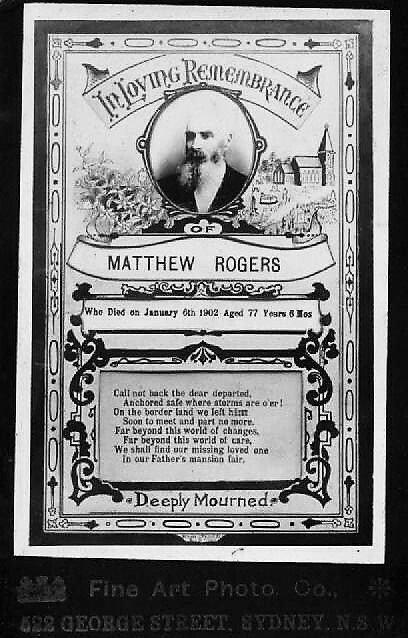 Matthew Rogers died on the 6th January 1902. 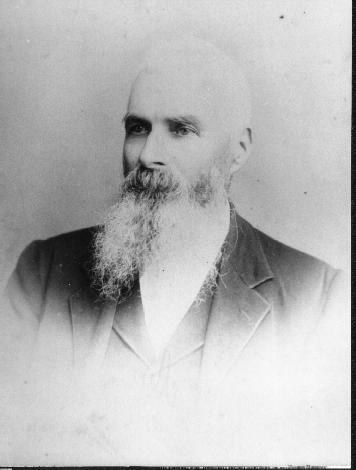 The Bacchus Marsh Express said “By the death of Mr. Matthew Rogers, on the 6th January 1902 at the age of 77 years, Blackwood loses one of its most notable pioneers and worthy citizens. 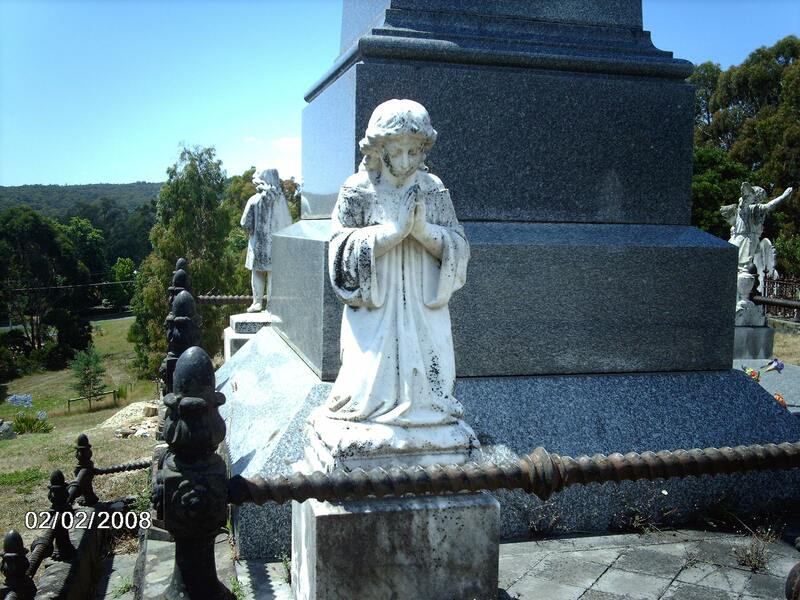 With the death of Mary and then Matthew Rogers, a mining era ended and so with it, the name of the Rogers family in Blackwood, but kept alive with his monument of the Rogers family vault in the Blackwood cemetery. Other burials in the vault are descendants of the daughter Elizabeth Rogers and her husband James Terrill. Elizabeth Susan Rogers was born Elizabeth Susan Gribble to Susanna Gribble in 1872, the illegitimate daughter to 16 yrs old Susanna and an unnamed male. see Henry Gribble. From the Digger Birth records was found under the surname of Grible – Susanna Grible born 1856 at Mt. Blackwood to Henry Grible and Julie Conte (sp. should be Cundy and Gribble) – reg no. 12060. Making this there 3rd child who lived. This Susanna Gribble was the teenage daughter ( age 16 yrs) who gave birth to an illegitimate daughter in 1872 who became the adopted daughter, Lizzie (Elizabeth) Rogers to Matthew and Mary Rogers. 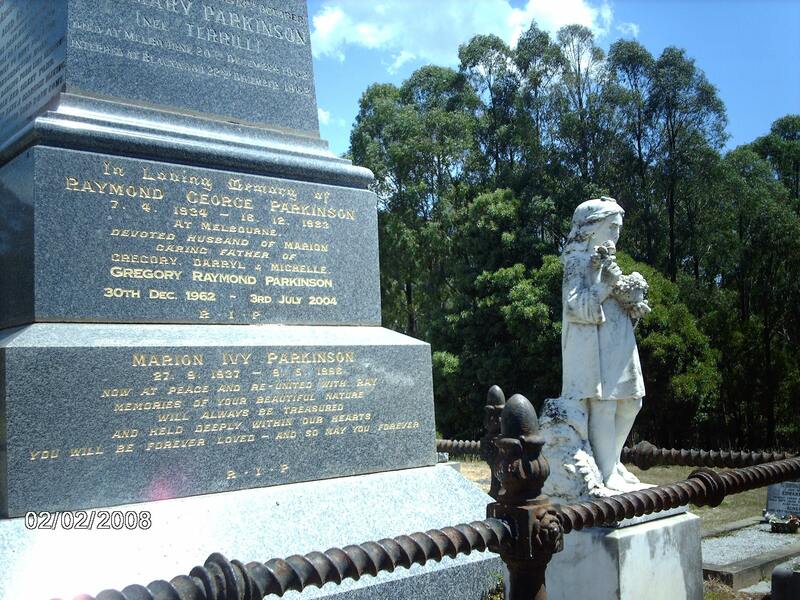 (Susannah, Gribble born October 19 1856 at Kangaroo Flat, Blackwood. 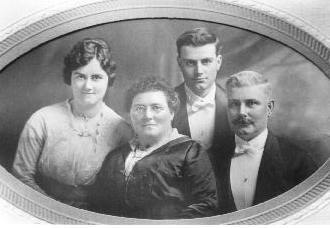 Burials in the Rogers family vault are children of Elizabeth Rogers and James Terrill – Ivy Mary Parkinson (nee Terrill) and Ernest Mathew James Terrill and other members of the Parkinson family. 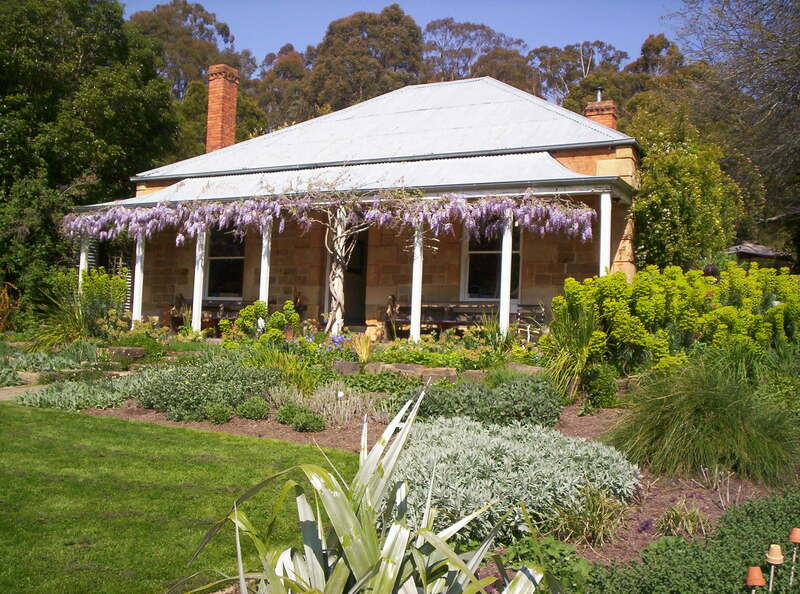 The Garden of St Erth is a secluded getaway not far from Daylesford and Ballarat. Each season has something to offer the visitor, including carpets of daffodils in spring, long flowering flower borders in summer and magnificent autumn garden colour. Stroll around the Diggers Garden Shop and shop for a wide range of incredible edibles, hardy perennials and shrubs and stock up on seeds for the vegetable and flower garden. Relax over coffee in the cafe and stay on for lunch, morning or afternoon tea surrounded all in the surrounds of the beautiful gardens and Wombat State Forest. The garden of St Erth is also home to Garden Beds Glamping – Six billowing bell tents outfitted in earthy luxury for secluded weekend getaways or nourishing nature-filled honeymoons. A chance to get out of the city, and wake up in a world class garden!